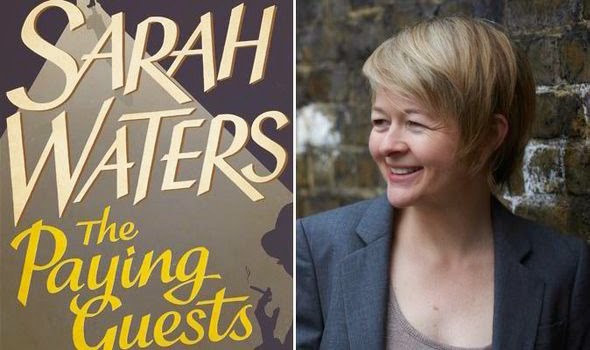 Sarah Waters' latest novel, The Paying Guests (Virago, 2014) is set in 1920s South London, where a mother and daughter fallen on hard times after the First World War take in lodgers in their once grand home on the Camberwell/Dulwich borders: 'Champion Hill, on the whole, kept itself to itself. The gardens were large, the trees leafy. You would never know, she thought: that grubby Camberwell was just down there'. The lodgers are of a lower class, moving over from Peckham Rye, and with one of them the daughter of shopkeepers on the Walworth Road. Most of the action takes place in this Champion Hill/Camberwell/Walworth Road area, with Ruskin Park featuring significantly. If you know Sarah Waters' previous work (including Fingersmith and Tipping the Velvet), I don't think it would be giving too much away to reveal that the plot includes crime, class and lesbian romance in a meticulously recreated historical context (she thanks Lambeth and Southwark local studies archives for their help). The author lived in Brixton for many years, then Kennington, so knows this part of the world very well. 'She loved these walks through London. She seemed, as she made them, to become porous, to soak in detail after detail; or else, like a battery, to become charged. Yes, that was it, she thought, as she turned a corner: it wasn't a liquid creeping, it was a tingle, something electric, something produced by the friction of her shoes against the streets. She was at her truest, it seemed to her, in these tingling moments - these moments when, paradoxically, she was also at her most anonymous. But it was this anonymity that did it. She never felt the electric charge when she walked through London with someone at her side. She never felt the excitement she felt now, seeing the fall of a shadow of a railing across a set of worn steps... It was like being a string, and being plucked, giving out the single, pure note that one was made for'.